A third pilot was in the cockpit of the Lion Air 737 jet a day before it crashed, killing all 189 people on board, Indonesia's air safety agency said Thursday. Following October's crash, the National Transportation Safety Committee had said it was interviewing people who flew on the plane a day earlier, with some passengers reporting a frightening, erratic trip. The agency said Thursday that investigators had interviewed the off-duty pilot who was on the Bali-Jakarta flight, but declined to confirm a Bloomberg report that he prevented an accident by helping the crew disable a malfunctioning flight-control system. 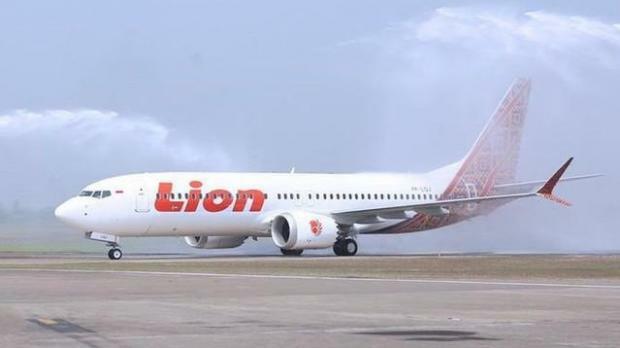 A different crew flying the same Boeing 737 MAX 8 jet a day later suffered a similar problem, but were unable to fix it before its fatal plunge into the Java Sea, the report said. "We interviewed that pilot because we wanted to know what he had seen and heard," NTSC investigator Nurcahyo Utomo told reporters in Jakarta, without offering further details. Earlier this month, 157 people onboard an Ethiopian Airlines flight died in the second crash involving a Boeing 737 Max 8 jet. Both planes reportedly experienced erratic steep climbs and descents as well as fluctuating airspeeds before crashing shortly after takeoff. Investigators have honed in on an automated anti-stalling system introduced on the 737 MAX 8, designed to automatically point the nose of the plane downward if it is in danger of stalling. Indonesian officials said they are aiming to release a final report by August.